If you are like me then you must be thinking Summer is on its way!!! I posted recently about my top ten tips on how to lose weight, well I'm back on that healthy wagon so I thought I would start sharing with you some of the healthier recipes I am making and eating. 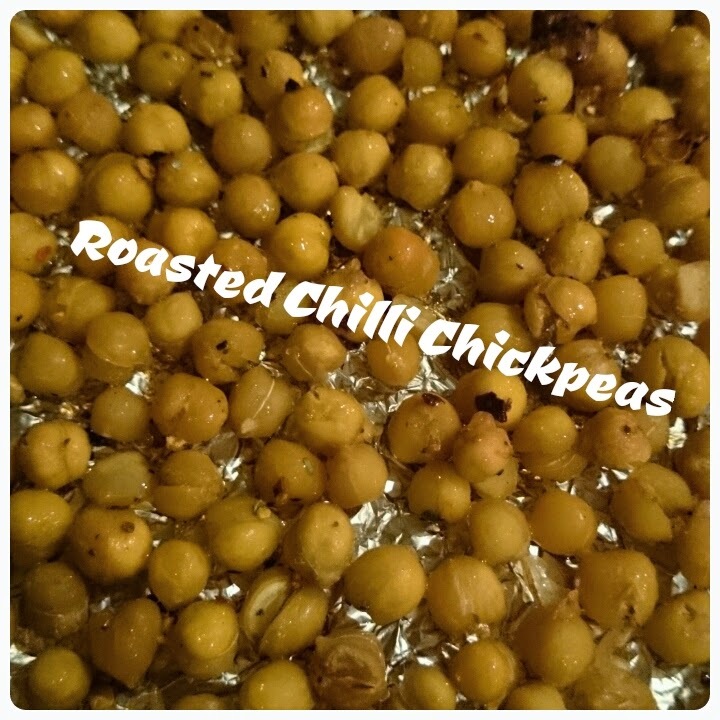 First up is my recipe for roasted chilli chickpeas. * Open up the tin of chickpeas and drain them. * In a bowl mix together the oil and the chilli powder. * Pour the chickpeas into the mixture and stir until they are all covered. 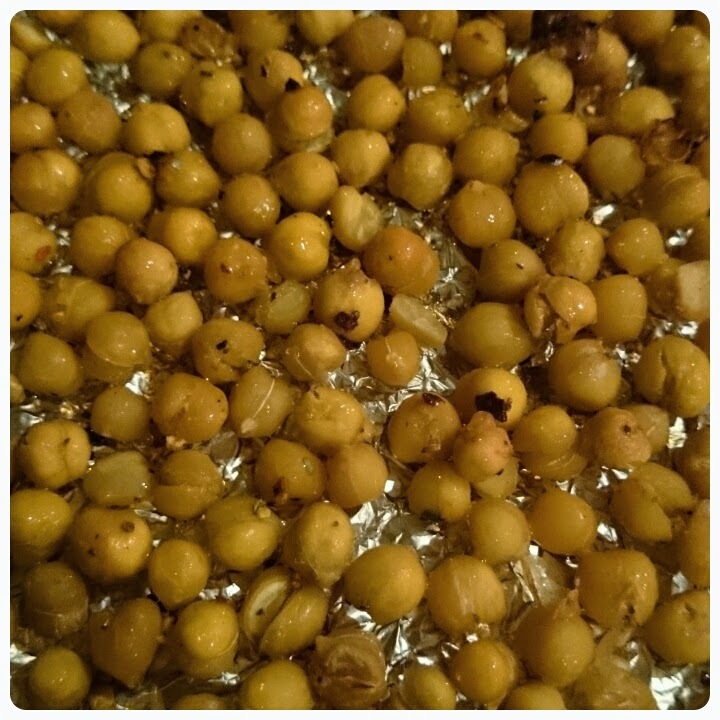 * Cover a baking tray in tin foil and spread the chickpeas over the tray, no overlapping. * Roast in the oven for around 20-30 minutes, checking closely at the end to make sure they don't burn. What is surprising is that when the chickpeas are roasted they get the same texture/consistancy of nuts and with the chilli powder it gives them that extra spicy kick. A great snack that is healthy but packed full of flavour. I've found they can last 2-3 days if you keep them in an air tight container. I never know what to do with chickpeas other than making hummus, or adding to curries. This is a great idea, thanks!